...allowing you to both unit test and integration test your code automatically. This blog covers using version 1 of the tomcat-maven-plugin details of which are available from codehause. Since I started using this plugin some time ago, the project has moved under the Apache umbrella of the Tomcat project, where version 2 is currently under development and is currently available as a beta release. Setting up the Maven Tomcat plugin consists of three steps. 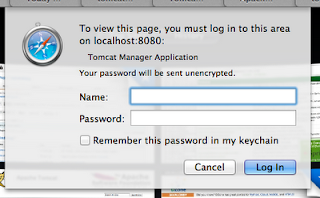 Setup a Tomcat manager account. Add the Maven Tomcat plugin to your POM file. …and see your server’s manager page. ...to the <servers> section your Maven settings.xml file. Obviously the username and password must match those in your tomcat-users.xml file. Note the id tag, you’ll see this again in the next section. This is really straight forward; however, there are a couple of points to note. Firstly, in the <configuration> section, you’ll see the server id of myserver. This must match the server id that you added to your settings.xml file in the previous section. Secondly, the server’s url setting seems, for no given reason, to have to end with "/manager/text", for example: "http://localhost:8080/manager/text". I guess that this is explained somewhere, but I can’t find it - all I know is that it just works. You can now start your server and run a Maven build using the "mvn install tomcat:deploy" command. 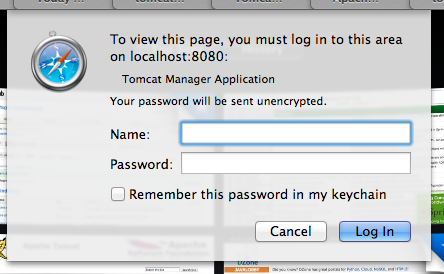 Once installed, switch to the "tomcat:redeploy" goal. 1 The main difference between Tomcat 7 and previous versions is that in Tomcat 7 the manager role has been split into several distinct sub-roles. Therefore in Tomcat 7 you need to specify roles like manager-gui etc, whereas in previous versions the role of manager would suffice.